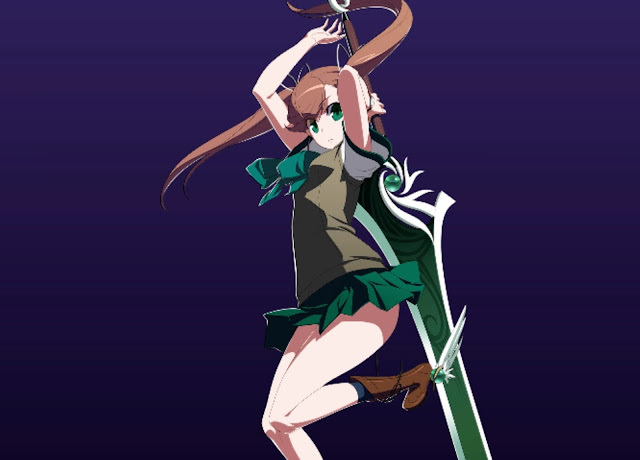 PQube will launch French Bread's latest 2D fighter, Under Night In-Birth Exe:Late[st], in early February for PlayStation 4, PlayStation 3 (no, really), and PlayStation Vita. We've got a solid month before we can run a review of the game, but we figured we'd give people a look at some of the new characters that make their first appearance in the game, as well as some of the new features. This is actually not a fighting game franchise that I'm so familiar with, so what you're doing to see in this video is an awful lot of button mashing from my first solid hour's of play (apologies for how poor my fighting game style is! ), but so far I'm having a good time with the game, and looking forward to getting stuck more deeply into the game's many systems - because while Under Night is accessible to newcomers, it's also a very complex game and will take a good while before I'm comfortable with it. Anyway, here's a fighting game well worth getting excited for! Look forward to more coverage in DDNet in the weeks ahead.